The Bernatos love to entertain, and with two young kids, they needed a kitchen that was not only functional but conveyed their casual, yet elegant style. 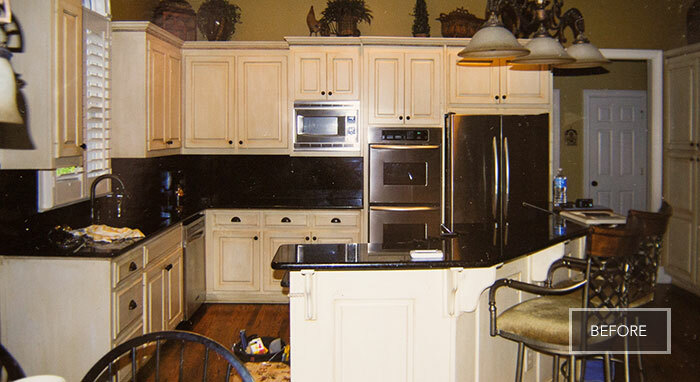 Although the couple originally planned to simply refresh the cabinets and kitchen island to better reflect their taste, the remodeling project eventually expanded to include a complete kitchen renovation that provided more storage and an efficient workspace. 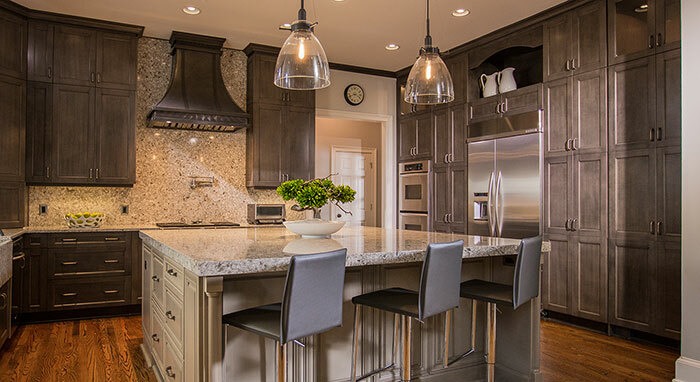 Kitchen Craft designer Sarah Price, who works at Founders Kitchen & Bath in Alpharetta, GA, created an open, beautiful space to meet the family’s everyday—and special-occasion—needs. 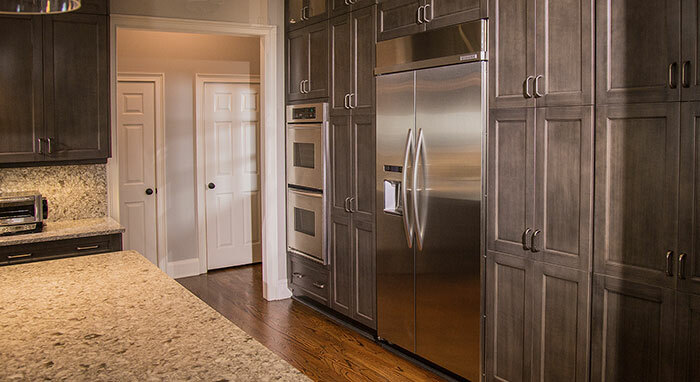 The large kitchen island is the perfect workplace, and is complete with two pullout refrigerator drawers great for help-yourself-drinks for both kids and guests. The kitchen organization center—large enough for a laptop computer and paperwork storage—is close enough for quick access, but able to be concealed with the elegant cabinetry. 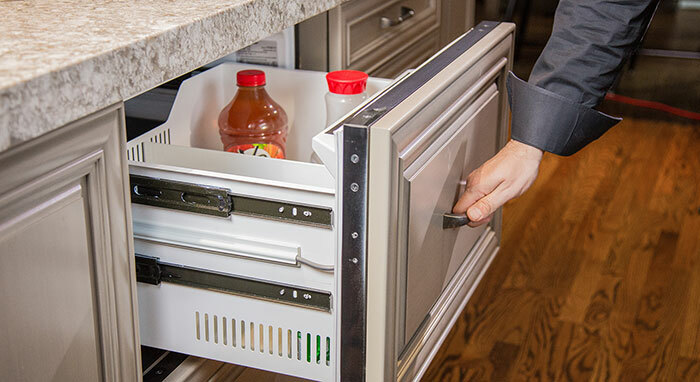 Other key elements include a top-loading microwave drawer, double oven and enough storage for special serving pieces. 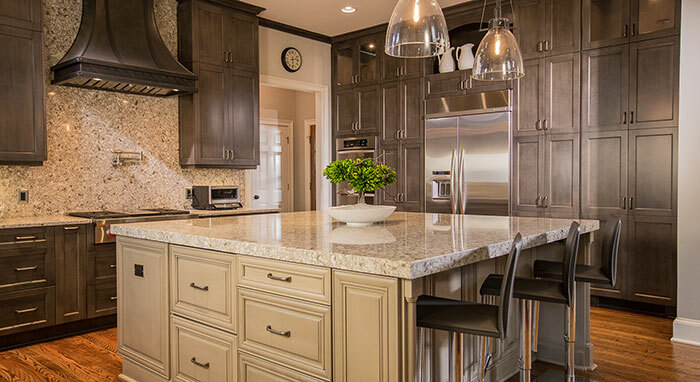 Founders Kitchen & Bath, Inc.